Every January from 1987-2000 I produced a radio broadcast from Glasgow of what was claimed to be the world's biggest Burns Supper. 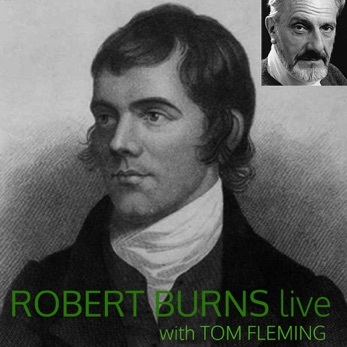 Although the occasions featured a star cast - from headline politicians to leading academics and celebrities - the high point for me was always Tom Fleming’s performances of Burns’s poetry. Such a combination of the bard’s genius with the actor’s electrifying delivery was as good a thing as I ever heard. Many of the great poets thought their words were better heard than read. Burns certainly thought so of his own material and there was no finer interpreter of it than Fleming. He died in 2010 after a distinguished career. This collection is a tribute to him and also to Joe Campbell for his efforts in putting together these stellar events.